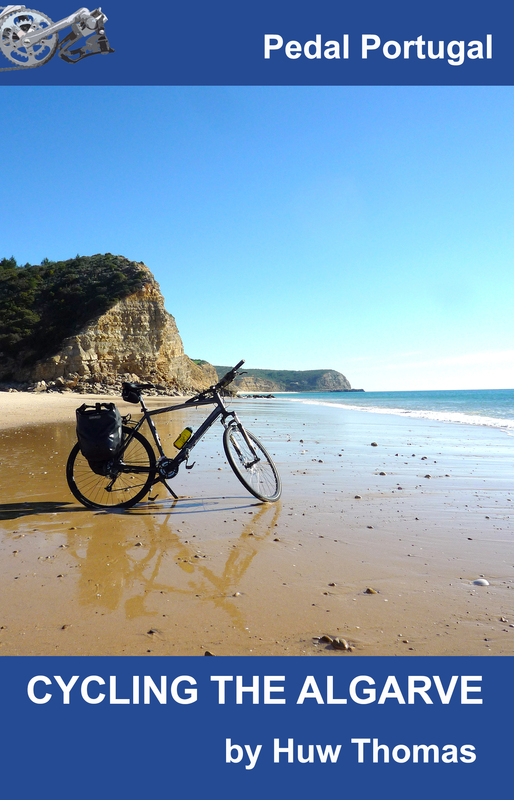 Completed a 41m/66km ride today through one of the quietest and most unspoilt corners of Portugal I’ve ever seen. 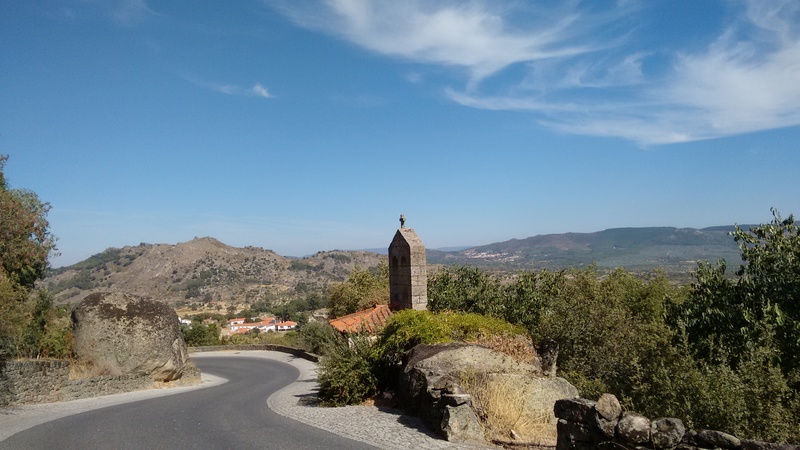 After a couple of weeks in the far north, Carolyn and I are back in the Beira Alta, exploring the area just south of the Douro valley and just west of the Spanish border. 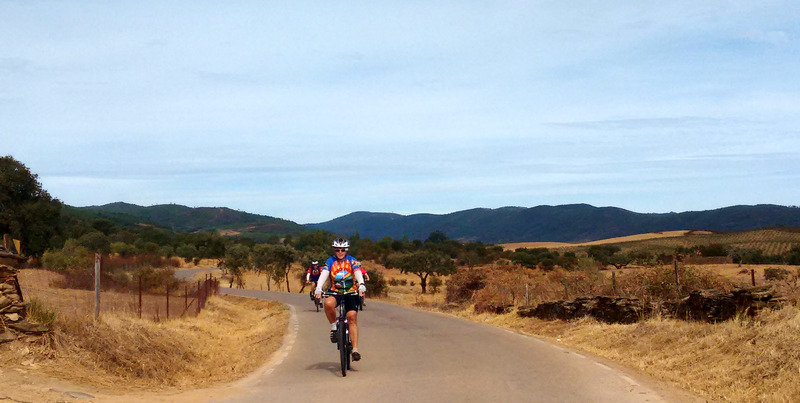 I knew this region was fairly quiet but the ride we did today was through some of the wildest scenery yet. It wasn’t an easy ride – even without the wind coming up from the south and the occasional showers drifting across. 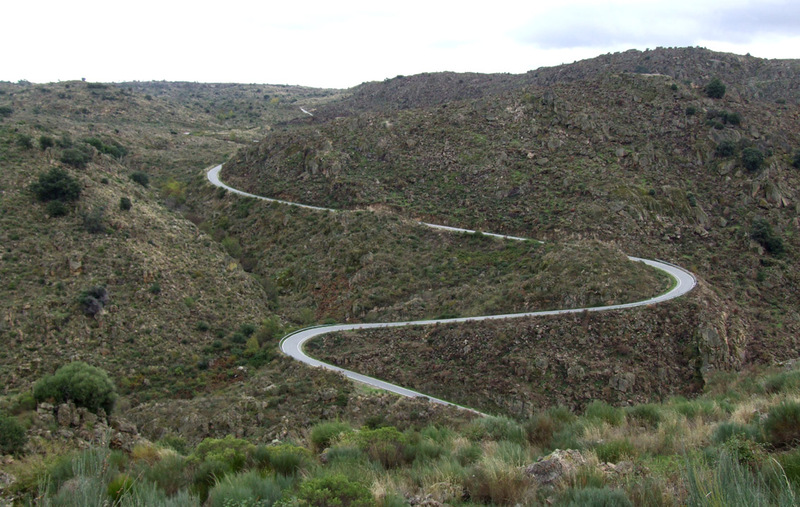 Our first crossing of the Coa valley involved quite a few hairpin bends… and a lot of pauses on the way up to let our heart rates go back to something like normal. We only saw one car on this section – an ancient Toyota that was putting out huge clouds of white smoke! I’m not going to describe the whole ride here, suffice to say it was a classic and I’ll be adding the route to the Day Rides section after we get home. 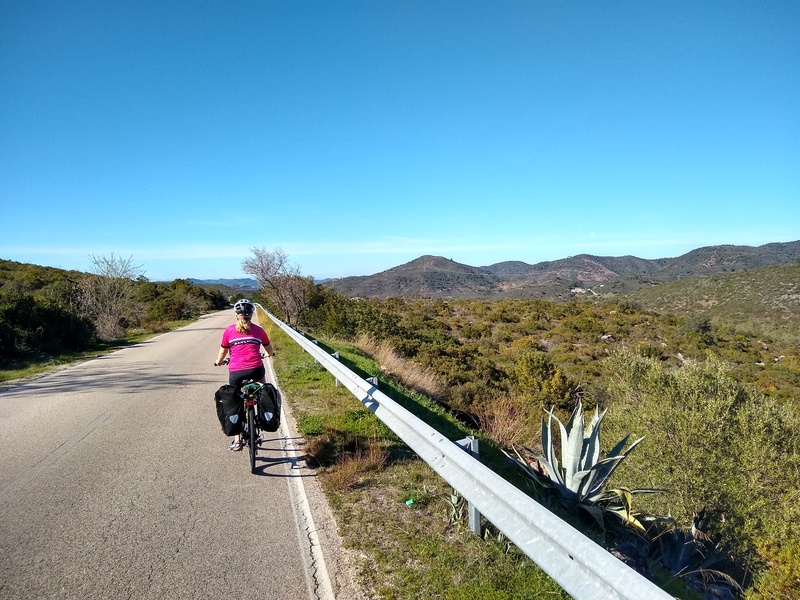 I’ve also got around eight or nine rides to add to the Northern Portugal section, plus various ideas for some long distance Touring Routes. Not sure what else our trip will involve. We’ve got the best part of a week left but we’re still camping and the weather forecast doesn’t look great. 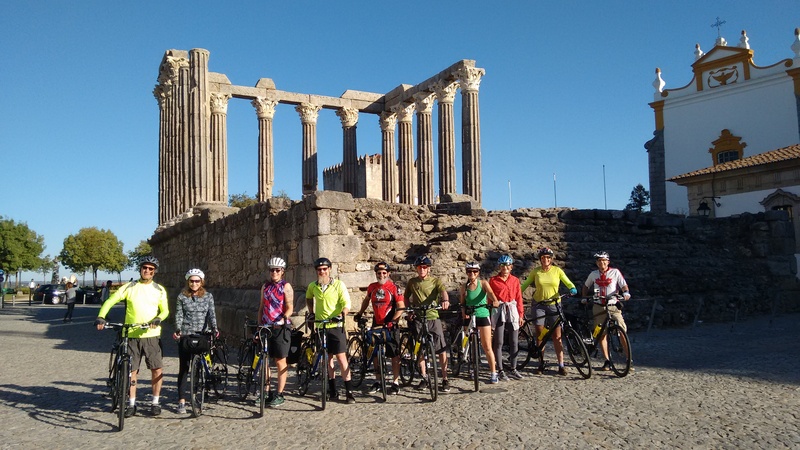 One of the nicest things to happen so far, though, was in Mogadouro. We met a Dutch cyclist with a broken pedal and I was giving him some ideas on campsites. 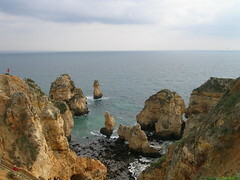 I mentioned that I was looking into routes for my website, Pedal Portugal. “You’re that guy,” he said and shook my hand warmly.